January is just around the corner, and with it comes the dreaded New Year's Resolution. Dreaded for most because those things are so darn hard to stick too. This year, I am getting a head start on making my resolution a success and looking for delicious but healthy gluten-free options ahead of time. This way, when the New Year rolls around, I will have a variety of yummy meal ideas in my arsenal. 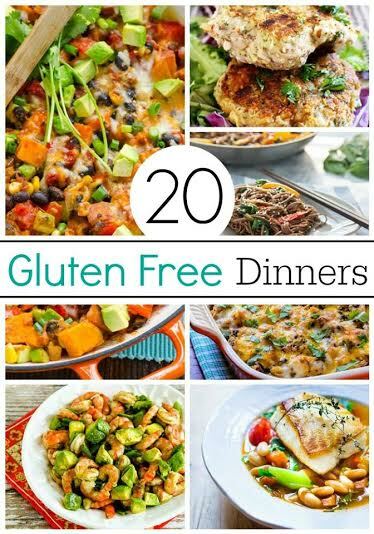 Check out the 20 gluten free dinners I have found so far below! Thanks for this great list! Will definitely be pinning this! !